» Portfolio » Installation of structure for gold ore treatment, Tasiast. Mauritania. Installation of structure for gold ore treatment, Tasiast. Mauritania. 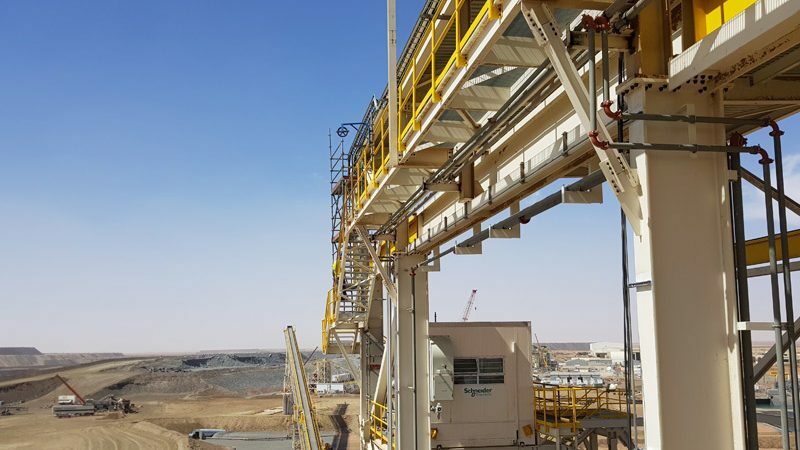 The project developed in Mauritania, specifically in the Tasiast area, is part of the “Tasiast Optimization project”, which is an optimization and expansion project being carried out by the Canadian mining company through its Mauritanian subsidiary, Tasiat Mauritanie Limited, SA . 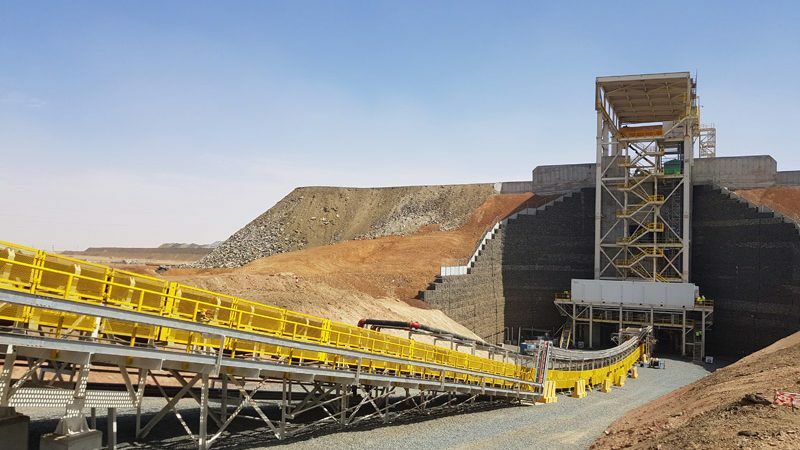 Construction of new facilities for the primary treatment of the material extracted from the deposit. 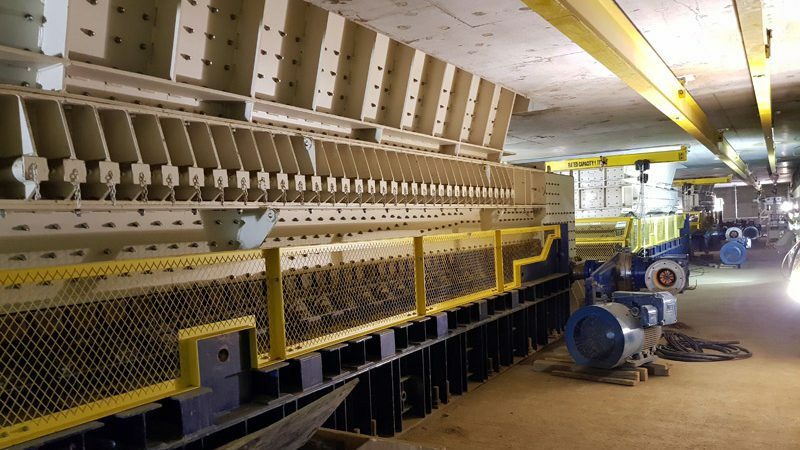 Mainly a primary mill, its sieves and conveyor belts, to take it to a storage area where there will be installed the equipment that will allow to transfer materials to a Ball Mill (SAG Mill), where auxiliary facilities will be placed. The works include the assembly of the metallic structure, the related equipment, as well as the wiring and lighting of all the equipment. 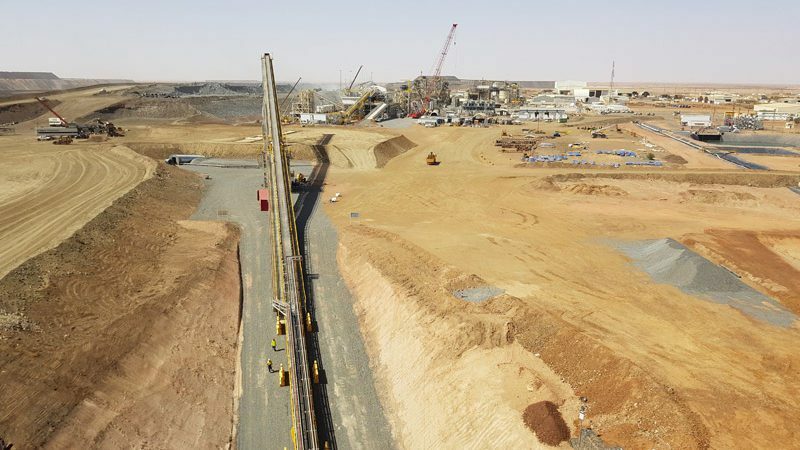 This project makes a significant contribution to strengthening the local labor market (Mauritania) in terms of the resources needed to carry out the work.